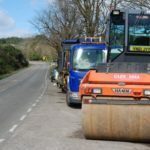 Interrupted by a wintery blast, planned resurfacing works on a badly deteriorated section of the A83 at Strone Point will resume on Sunday March 4. Originally planned to take five nights starting on Sunday February 25, the resurfacing stalled midweek as the Siberian weather system dubbed ‘the beast from the east’ swept over Scotland. 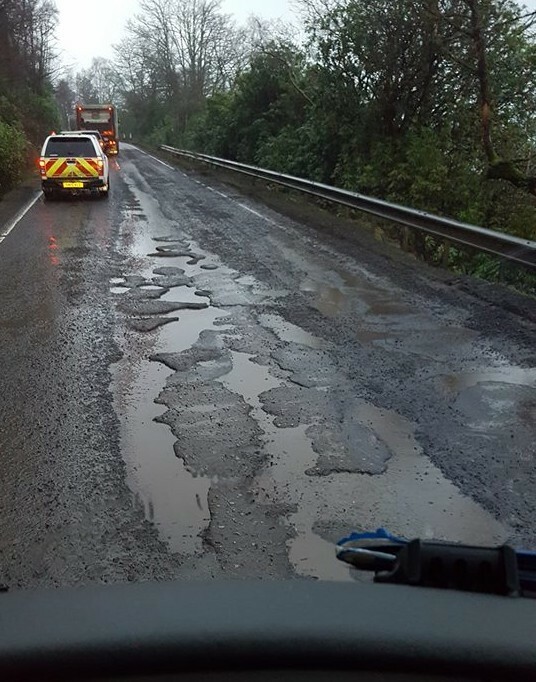 A spokesperson for trunk road management firm BEAR Scotland said that the work will resume on Sunday March 4 and is programmed to be completed over two nights – though this is weather dependent. 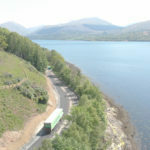 For safety reasons the A83 will be closed each night from 8pm to 7am while the work is carried out. 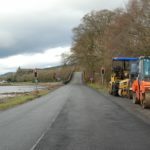 Diversions of around 60 miles will be in place from Inveraray via the A819, A85 and A82 and from Tarbet via the A82, A85 and A819. Emergency services will be able to pass through the works at all times. Access to properties within the closure as well as for local bus services will be maintained. The road will be fully open during the day.